Kenneth Stewart Williams was born in Moree, NSW, in 1896, the son of George and Elizabeth J Williams. In 1919 in Sydney, he married Margaret Del Reaney. He died on 5 May 1973, aged 76, and was privately cremated. Note that genealogical details require further research for confirmation. Kenneth Williams was a real estate agent. In 1930 there was a K S Williams living at 8 Waratah Street. 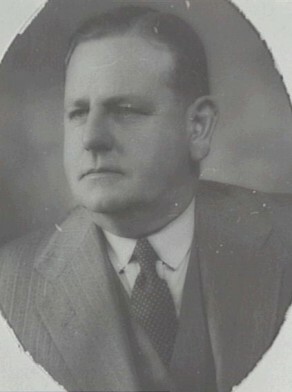 Williams was Alderman for Fitzroy Ward, 6 December 1941 to 31 December 1948. He was a member and Vice-Chairman of the Works Committee, 1945-48. He was also a member of the Finance Committee and the City Planning and Improvements Committee, 1942-44, the Markets Special Committee and the National Emergency Services Special Committee 1943-44.